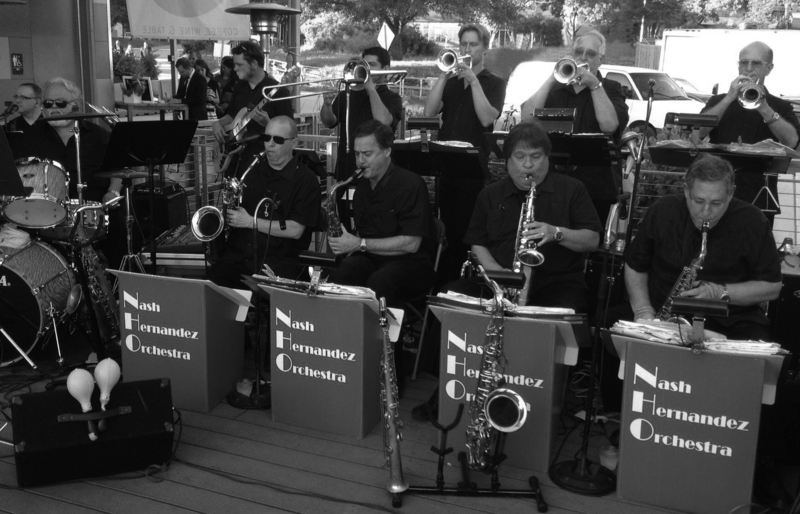 Trumpeter, Nash Hernandez, began the Nash Hernandez Orchestra in 1949. The initial musicians of the band were all Hispanic, many of whom were taught to play by Nash. Nash was inducted into the Austin Music Hall of Fame in 1999 and the band continues under the direction of his youngest son, Ruben Hernandez, who began playing drums in the orchestra at the age of 11. Ruben continues the community service of the orchestra and has been recognized by the Texas State Senate for his continuing support of the Austin community. After six decades of performing in and around Austin and Texas, we still receive overwhelming feedback from our fans and clients. We remain as strong as ever, thanks to the resurgence of swing music and new fans gained through all of our performances. Must be a current Museum Member - If you are not a member, it is only $10 to join. For membership info click HERE.